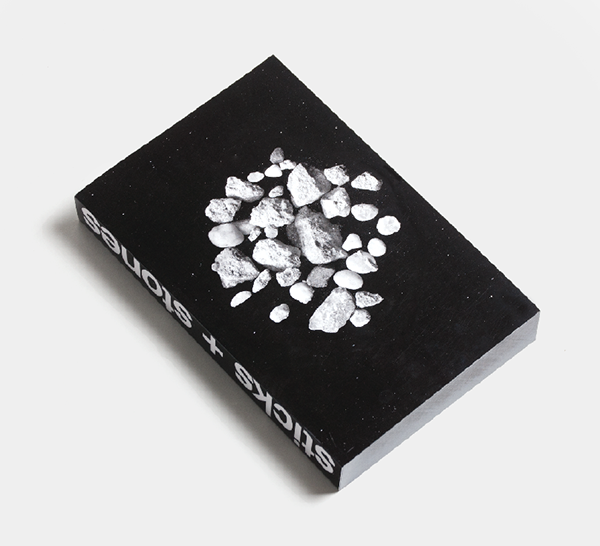 "The following pages​ are arrangements of sticks and stones sans everything else. 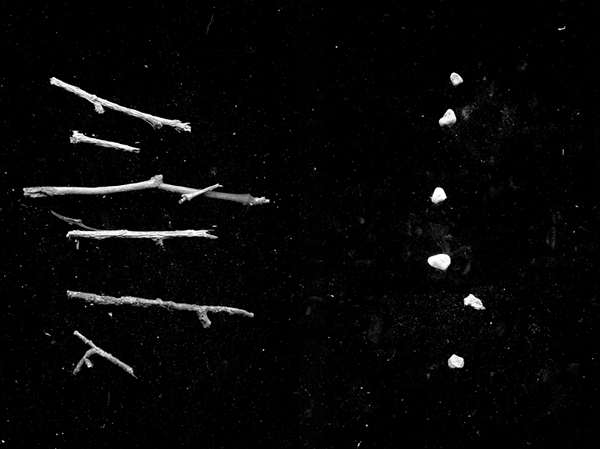 Sticks on the left, stones on the right, over and over in a black void. They converse with each other, sometimes seemingly at random, sometimes not. You are the third element, the perceiver. You give them your attention with which, if you're open to it, they will begin to converse with you." Five hundred pages of sticks and stones, with sticks on the left, stones on the right. Each spread is a careful arrangement of shapes, energy, and relationships. Going through the book is a zen-like experience. From the introduction: "Sticks and stones are some of the first tools of humankind. They were likely some of primitive man's most valued possessions, just like tools and toolbox are to contemporary man. Each stick and stone has its own unique, nature-given characteristics, unlike the churned-out-by-the-millions assembly line products of today.​ "Their presence is ubiquitous. Everyone has at one point or another thrown a stick for a dog to fetch or skipped a smooth stone over calm water. We've all sat in wooden chairs and leaned on marble countertops. 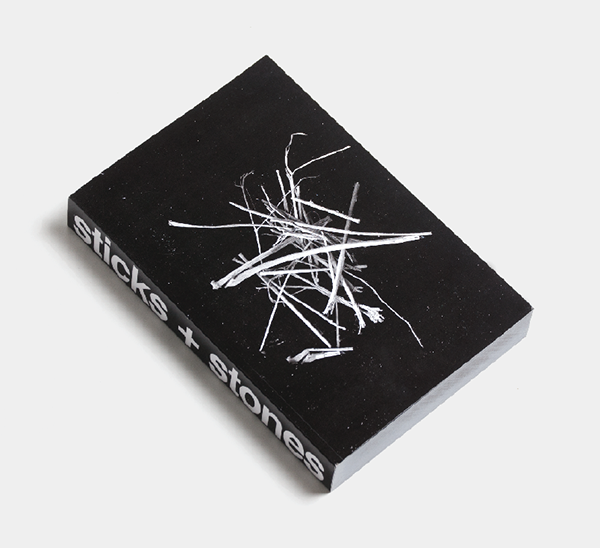 This book itself was printed on paper derived from wood and, at one point in time, stone slabs were critical in applying ink to paper.​ "The following pages​ are arrangements of sticks and stones sans everything else. Sticks on the left, stones on the right, over and over in a black void. They converse with each other, sometimes seemingly at random, sometimes not. You are the third element, the perceiver. You give them your attention with which, if you're open to it, they will begin to converse with you."